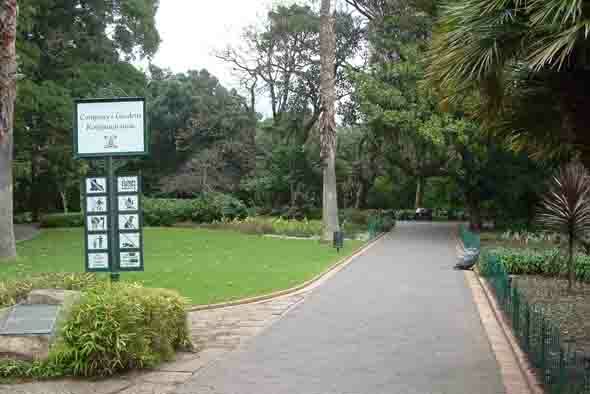 The Company Gardens situated in the centre of Cape Town were started by Jan van Riebeeck on his arrival at the Cape in 1652. When the Dutch arrived this valuable piece of land lay in a valley surrounded on three sides by Devils Peak in the east, Table Mountain to the south and Lions head to the west. Just four hundred metres to the north were the ancient shores of Table Bay where van Riebeeck and his party landed. Before the arrival of the Dutch the land was occupied by the hunter gatherer tribes who roamed the area and were attracted to the foot of Table Mountain by the many streams that ran off the mountain and provided grazing and water for their livestock. On his arrival van Riebeeck and his gardener Hendrik Boom immediately set about laying out the gardens they had been instructed to set up. Their first attempts were fraught with many problems as the European seasons and those of the Cape were not the same. Secondly the Dutch had not bargained on the" Cape Doctor "a strong south easterly wind which blows in Cape Town during the summer months. As their crops had little protection from the elements the wind wreaked havoc with them. What van Riebeeck was unaware of on his arrival was that there was a resident tribe of nomads living in the area and he set up his garden in the middle of their best grazing lands. As the Dutch settled into the Cape they started exploring and found a settlement of people numbering over 5000 who had thousands of sheep and cattle. These people were the Gorinhaiqua also known as the Khoekhoen who roamed between Saldanha Bay and the Cape Peninsula looking for grazing for their animals. Although the tribes were nomadic an uneducated they knew how to provide good grazing for their animals. They practised a primitive type of land management whereby they burnt the grazing lands before moving on in the knowledge that when they returned the land and vegetation would have reestablished itself and would again provide good grazing for their livestock. As the Dutch established themselves in the Cape they soon started coming into conflict with the locals as they took over their grazing lands for gardens and excluded the Khoekhoen from water they had had access to for generations. To provide water for the gardens van Riebeeck built canals to lead water from the streams into the gardens. Eventually as Cape Town developed these canals were extended to provide water for buildings and houses that were erected in the town. As the canals took precedence the buildings were built along their banks resulting in the street grid found in modern Cape Town today. With time the Dutch gardeners found that the land closer to the sea was less fertile and so moved the gardens away from the coastline further up the slopes of Table Mountain to where the ground was more fertile. The northern boundary of the Gardens became Wale Street where it is still situated today. As the town grew the land between Wale Street and the coastline were utilised by public and private enterprise to build on. 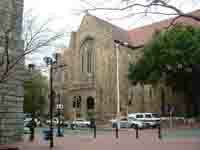 Some of the buildings erected on this land were the old slave lodge, a hospital for sick sailors at the corner of Wale and Adderley Street, and the Grootte Kerk a church in what is today called Spin Street. Over time the gardens grew larger and pathways between the different crops in the garden were established. The main pathway eventually became what today is known as Government Avenue and it bisected the garden from noorth to south. The gardens over the first 100 years of Dutch rule at the Cape became very famous, firstly for its beauty and secondly for its export of indigenous plants to Europe. 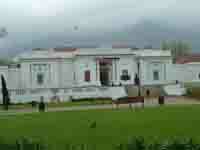 The gardens however were to become neglected by the end of the 18th century as the VOC company went insolvent. Then in 1795 the British raided the Cape and took over the settlement. Under the first years of the British rule the gardens were further neglected and only when Governor Yonge tried to turn the gardens into his private domain did people sit up and take notice. The public had always had access to the gardens and thought of them losing this access caused a major outcry at the Cape which turned the Gardens into a public domain which is still in force today. Unfortunately the rule of the British at the Cape did not last too long as they were forced to hand the Cape back to the Dutch in 1803. This event had a marked influence on the gardens. When the Dutch took over they extended Government Avenue all the way to Orange Street and linked it up with the entrance to the Mount Nelson Hotel which is built on the lower slopes of Table Mountain. At the same money was made available by the Government and decorative gateways which became known as the lion gateways were erected. Unfortunately for the Dutch their rule at the Cape this time round was short lived as they were attacked and defeated by the British in 1806. After the Battle of Blouberg the British held onto the Cape and extended their rule throughout South Africa eventually relinquishing power here when South Africa became a Republic in 1961. With their return to power in the Cape the garden once again came under threat as the British started to use portions of it for institutional buildings. 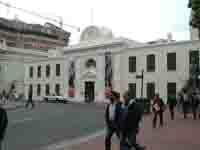 The land to the east of Government Avenue was sold off and the current Houses of Parliament, Tuynhuis and the National Gallery were established along its boundary. 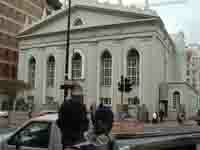 Other buildings such as St Georges Cathedral in 1827 and the Public Library in 1860 were built in the gardens along the Wale Street boundary. The building of the South African Museum in 1883 on what was considered to be the most ornamental part of the old garden angered the Garden Commissioners to such an extent that they all resigned. Finally in 1892 after two years of no one taking responsibility for the Gardens it became the responsibility of the Municipality of Cape Town who took over the day to day control of them. During the building programme carried out by the British between 1806 and the early 1900's the gardens had lost half of its original green space. 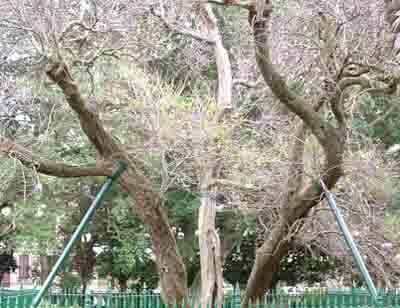 The portion that remained was filled with many historic trees which were overgrown and made the gardens very dark. In the 1920's it was decided to build a memorial rose garden for those South African soldiers who had perished in the battle of Delville Wood during the First World War inside the boundaries of the Company Gardens. This necessitated a redesign of the garden and many of the old trees were removed during the building of the rose garden. 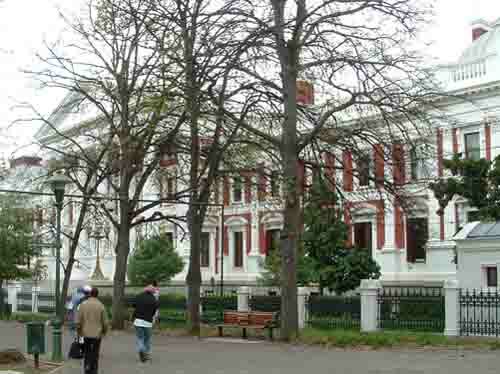 In the days when van der Stel was Governor of the Cape, Government Avenue and the Company gardens were an integral part of the social life at the time. 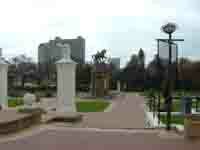 Today 350 years later the gardens remain an important part of the inner city. Thousands of people visit it daily and enjoy the peace and quiet one can find in the garden. Although the garden has been modernised over the years it still contains many interesting artefacts that date back to the times of Van Riebeeck. A Saffron pear tree that was planted in Van Riebeeck's time still grows in the garden and produces fruit each year. When you next visit Cape Town take some time off your busy schedule to walk through the garden and along the historical Government Avenue. When you do you will be following in the footsteps of some of South Africas most well know political and historical figures.